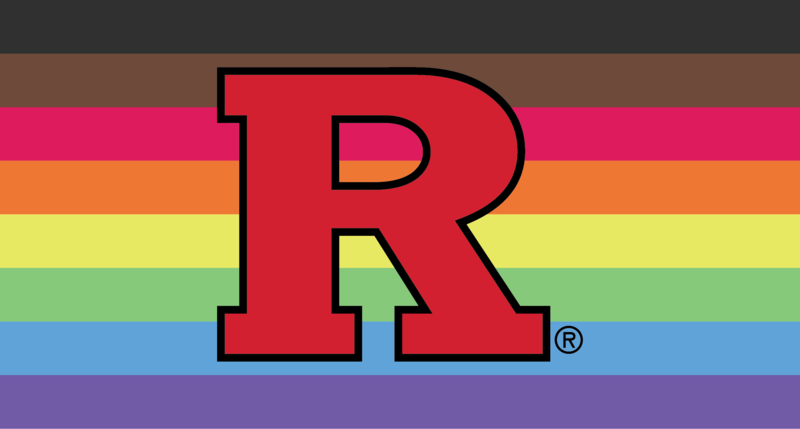 Rutgers students have adopted this affectionate term for their celebration during the month of April. 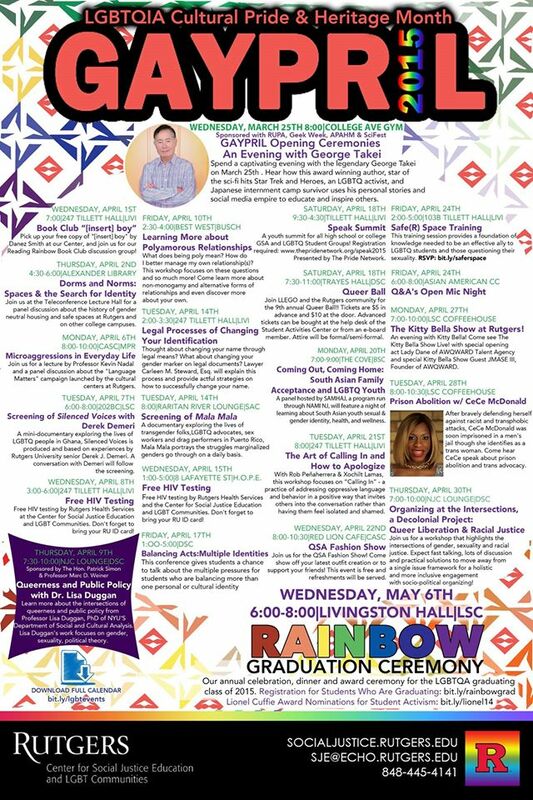 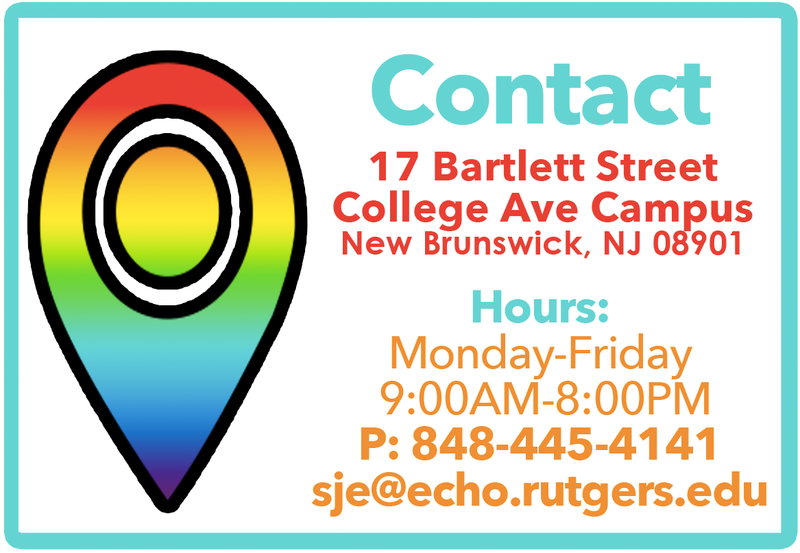 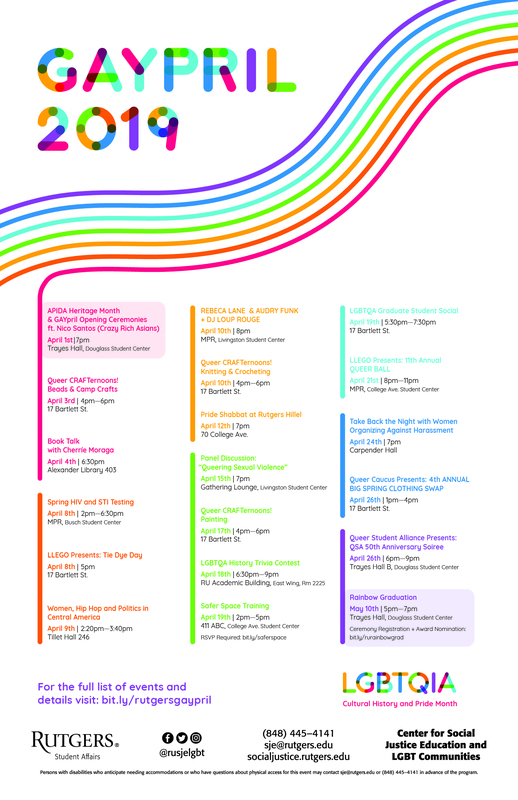 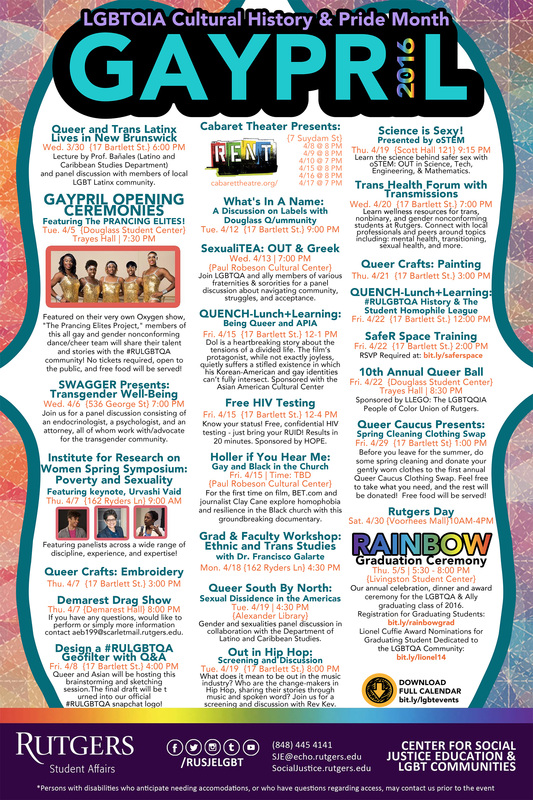 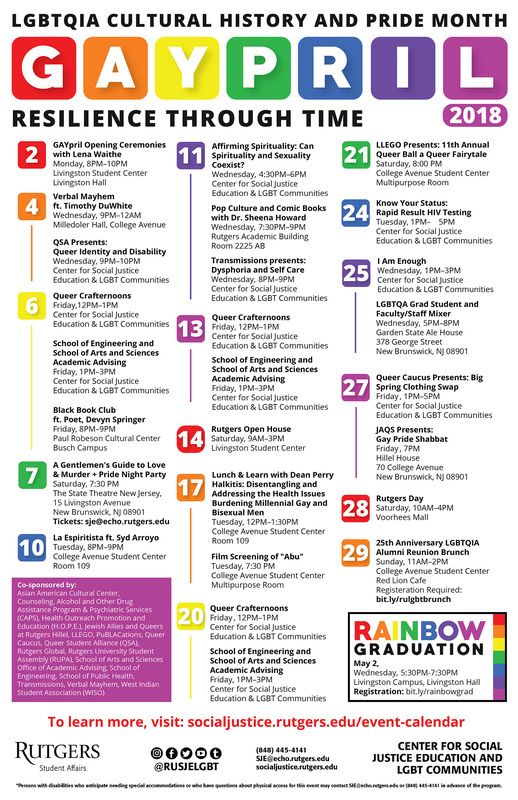 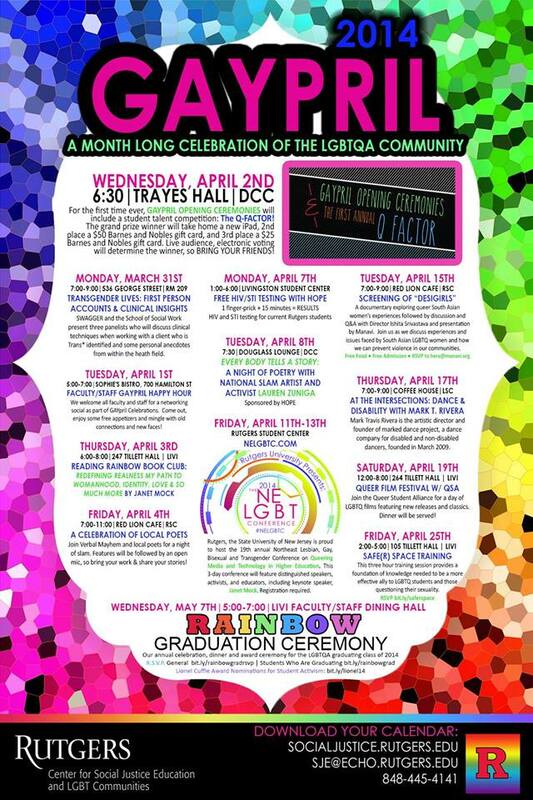 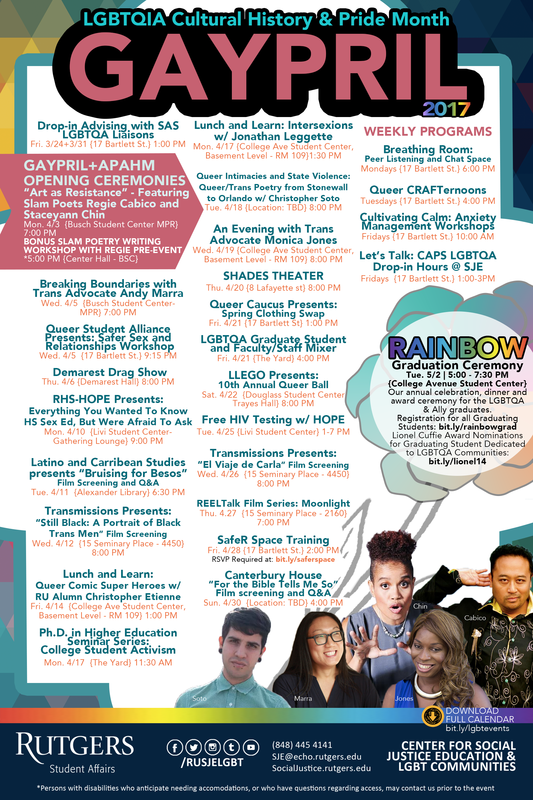 “Gaypril” is an opportunity for the entire campus to involve itself in educational and celebratory programming on queer issues. 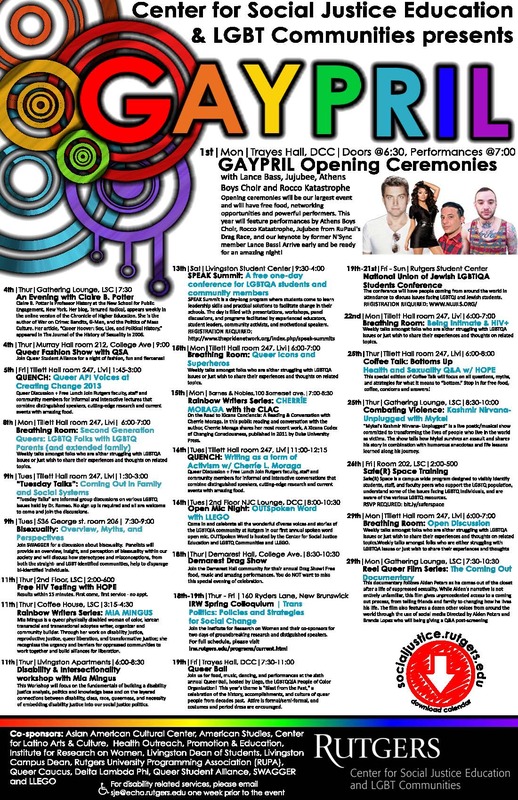 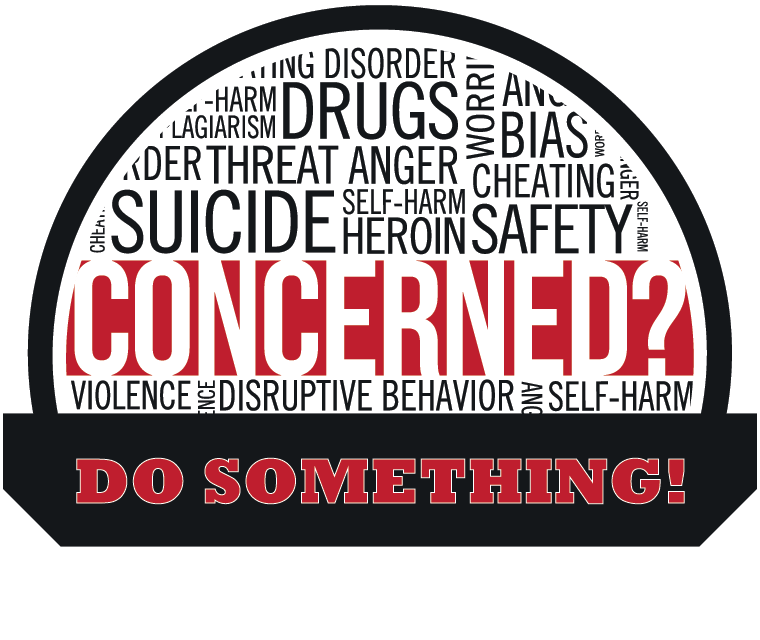 Past guests include: Lance Bass, Jujubee, Athens Bois Choir, lesbian comic Elvira Kurt, Bisexual singer/songwriter Scott Freedman, allies Judy Shepard, mother of Matthew Shepard, and Rosie Perez, and many others.